DJI Osmo Pocket Now Available For Hire! At just over 4 inches tall, Osmo Pocket is DJI’s smallest three-axis stabilised camera. It redefines DJI’s family of handheld gimbals offering features never before seen in a product this compact. A 1/2.3-inch sensor records 12-megapixel photographs and 4K video up to 60fps at 100Mbps in stunning detail. Osmo Pocket also uses built-in dual microphones and advanced noise-cancelling algorithms to ensure you capture high quality audio to match your footage. Furthermore, a battery life of up to two hours shooting video in 4K, 30fps means you can always rely on Osmo Pocket to capture your story no matter where you are at the very best quality. 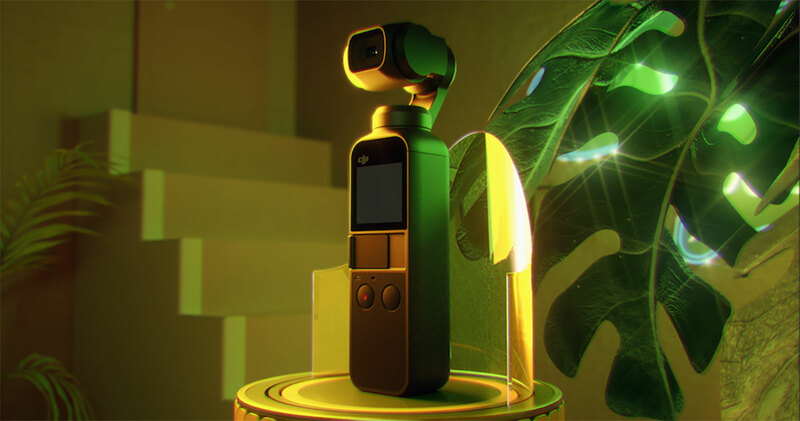 The state-of-the-art three-axis mechanical gimbal in the DJI Osmo Pocket compensates for movements and smooths vibrations so you can focus on composition and subject matter. Whether you are taking videos of your family or documenting special holiday moments, the Osmo Pocket helps ensure your video comes out smooth. A universal port under the touchscreen allows you to connect your mobile devices that use iOS Lightning or USB-C. Upon connection, the new dedicated DJI Mimo app will automatically open and serves as a monitor, while in-app menu offers a variety of intelligent features and recording modes. Designed with ease of use in mind, Osmo Pocket doesn't only let you shoot smooth, cinematic footage; it empowers creativity. DJI's image recognition algorithms allow Osmo Pocket to recognise and follow subjects of your choice, perfect for capturing family moments easily with the tap of your finger. FaceTrack takes ActiveTrack one step further. With enhanced ActiveTrack algorithms, FaceTrack automatically recognises a human face and locks the subject in centre of the frame at all times. It does not identify individual faces, but keeps the camera centred on one, so it’s perfect for vloggers, particularly in busy environments. If you’re looking to turn minutes into seconds, Timelapse is perfect for capturing unique content with the effect of the world moving faster around you, while Motionlapse adds the dynamic element of camera movement to your Timelapse. FPV Mode lets you capture your greatest adventures by recording video from your perspective. Instead of locking the gimbal to maintain the horizon, FPV tells the camera to follow your every tilt and lean, shooting dynamic footage exactly as you experienced it, perfect for fairground rides! For capturing breath-taking wide-angle photos, Osmo Pocket offers two Panorama modes. 3X3 takes an expansive 9 images in total while 180° mode captures 4 images. Osmo Pocket software stitches them together automatically so you can focus on the framing of the scene. 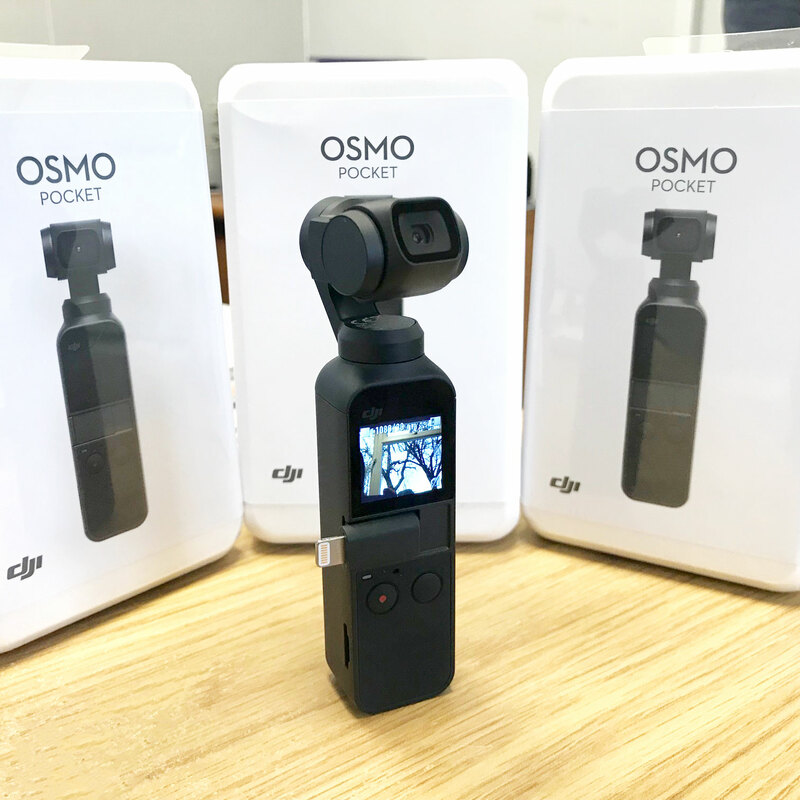 The DJI Osmo Pocket is now in stock in stock and available for hire, HERE!